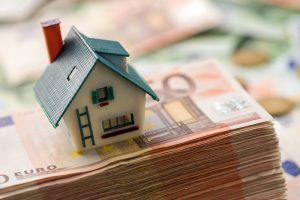 The average price of rental housing in Spain increased in October by 1.4% to stand at 8.22 euros per square metre, according to figures from fotocasa. Year-on-year, the increase in the cost of renting a home in Spain increased by 2.7%. This increase continues the upward trend we have seen over the last 44 months, only broken in August 2017, when prices fell 2.2%. “The average rental price continues to rise in Spain, but at a much lower rate than it did a year ago, when we registered double-digit year-on-year increases. Even so, the data reveals strong price tensions in the main capitals of the country, which is striking considering that in many of them we have already exceeded the maximum prices we recorded in 2007 and 2008,” explained Beatriz Toribio, director of studies at fotocasa. The average price per month seen in October (€8.22) returns us to the same figure we saw in August 2010. Since reaching the maximum in May 2007 (€10.12 p/² p/month) the price of rental housing has accumulated a fall of 18.8%. Looking at prices across the country, October saw increases in nine autonomous communities. The community with the largest monthly increase was Valencia (1.8%). Increases were also seen in La Rioja (1.6%), Galicia (1.3%), Madrid (0.9%). Catalonia, Baleares and Aragón all saw prices rise by 0.8%. In Andalucia, prices increased by 0.2%. Four communities saw year-on-year falls in the cost of second-hand property for rent: Navarra (-2.6%), Canary Islands (-0.4%), Murcia (-0.3%) and Basque Country (-0.2%). Prices remained stable in Castilla y León, Extremadura, Asturias and Cantabria, with no change compared to September. Madrid is the most expensive community in which to rent a second-hand home, with an average monthly cost per square metre of €12.92. Coming next is Catalonia with €12.09 p/m² per month, followed by the Basque Country (€9.76 p/m² per month) and the Balearic Islands (€9.66 p/m² per month). The cheapest rental housing is found in Extremadura (€4.63 p/m² per month) and Castilla-La Mancha (€5.01 p/m² per month). Looking briefly at prices by province, 27 recorded increases in the monthly rental costs when compared to last year. The provincial increases ranged from 3.3% in Valencia to 0.1% in Salamanca, Malaga, Teruel and Toledo. Prices fell in 18 provinces with decreases ranging from -0.1% in Granada to a larger variation of -3.4% in Álava.